2012 Results are in! Go here to view the winners! Homebrew Competition awards will be at 1pm on Saturday April 28th out on the patio. 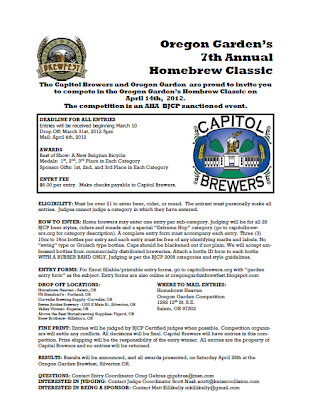 Below is the information sheet for this year's homebrew competition hosted by Capitol Brewers. You can also view and/or print the info sheet here. 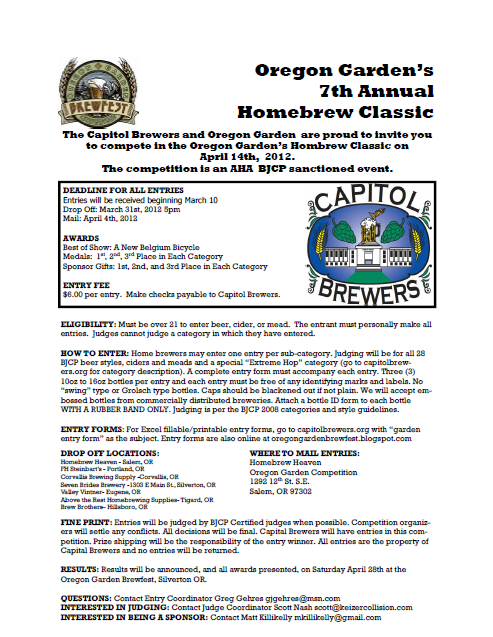 Entry forms will are available at www.capitolbrewers.org . For information on homebrew competitions visit the American Homebrewers Association. Click here for BJCP style guidelines.